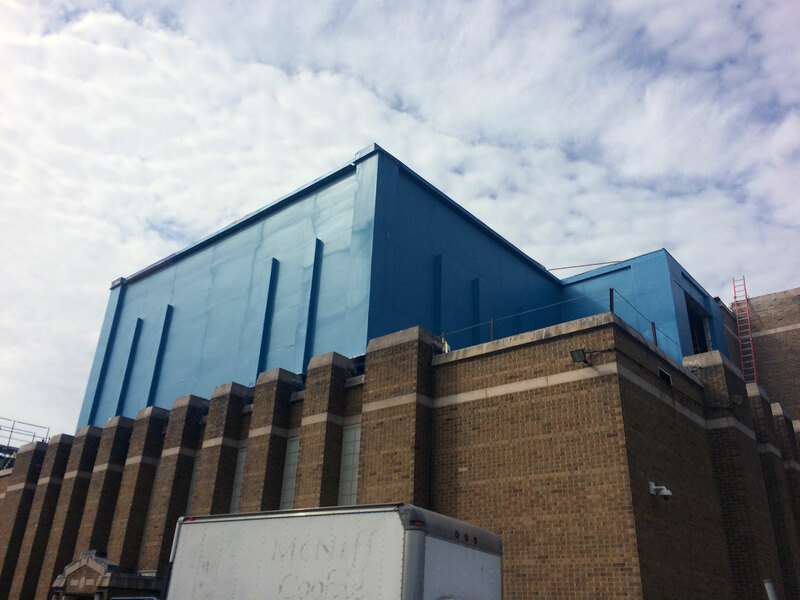 This project was a very small straightforward project that had a Carlisle Air barrier, Hunter Panels XCI insulation and a Knight Wall securement system as the basis of design. 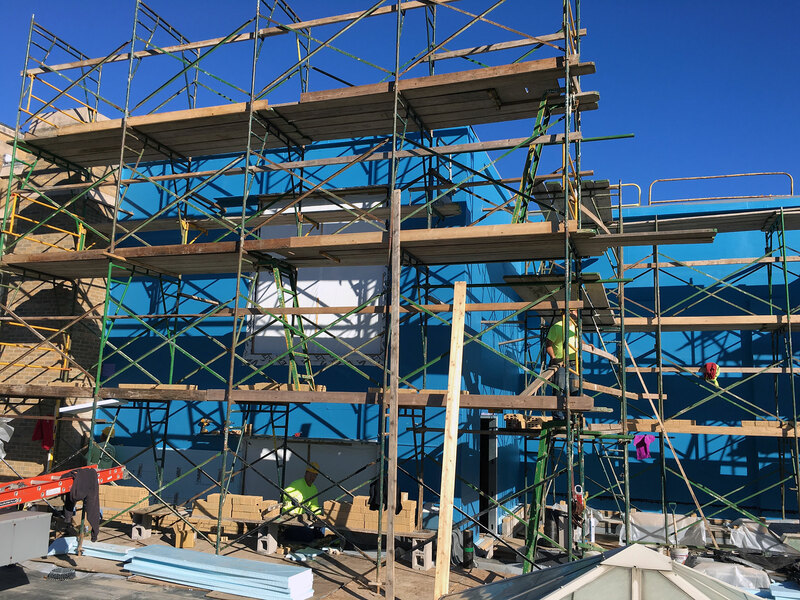 The air barrier was the Carlisle Barritech VP vapor permeable fluid applied membrane that stops the free flow movement of air through the walls. During the construction of the project, a misunderstanding on the thickness of the walls created a slight slow down in the project. It was determined that the insulation could be increased to 4″ from 2″ to make up the difference in the constructed wall thickness versus the thickness shown on the drawings. 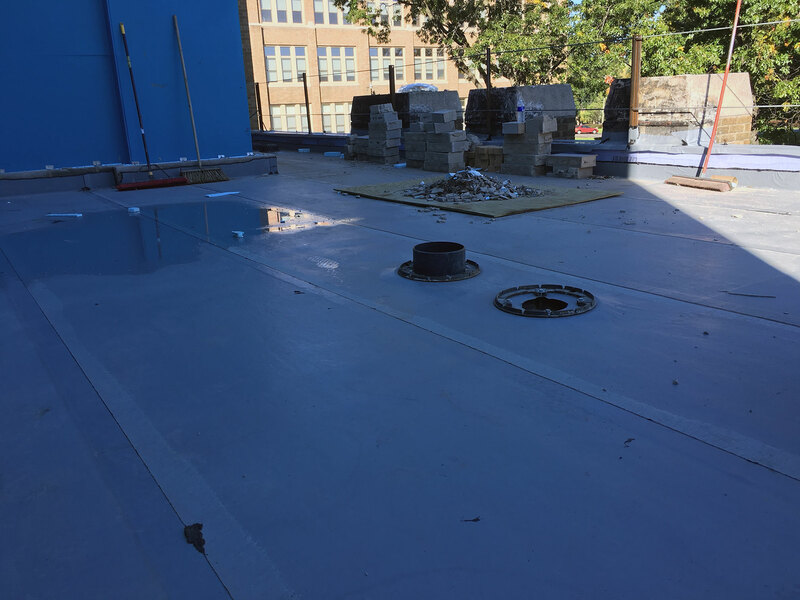 The Hunter Panels XCI Class A polyiso was chosen for it’s high 6.5 per inch R-Value, it’s 25 psi compressive strength and it’s ultra low flammability. 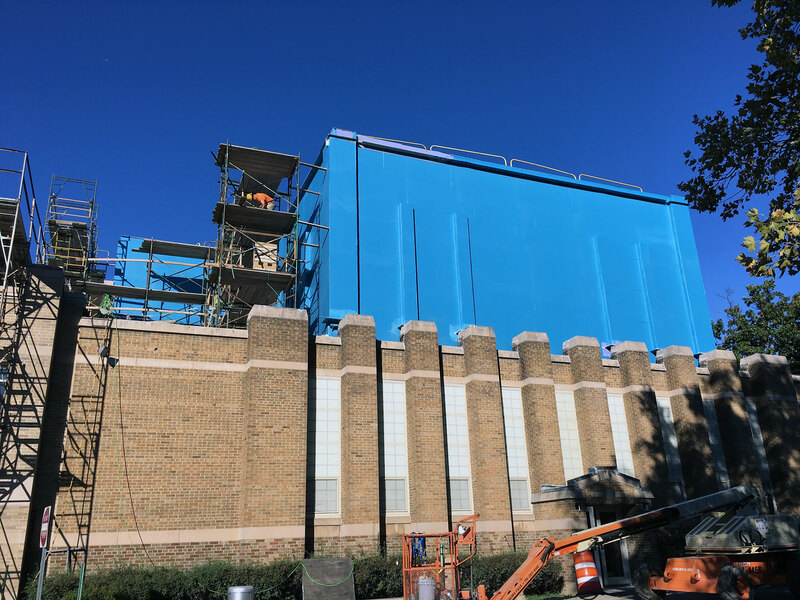 Very few foam insulations can be used in this application and luckily Hunter Panels includes this type of foam in their vast line of products. Knight Wall HCI rails were chosen for this ACM assembly because the HCI rails ride on top of the insulation instead of bisecting and breaking up the insulation. 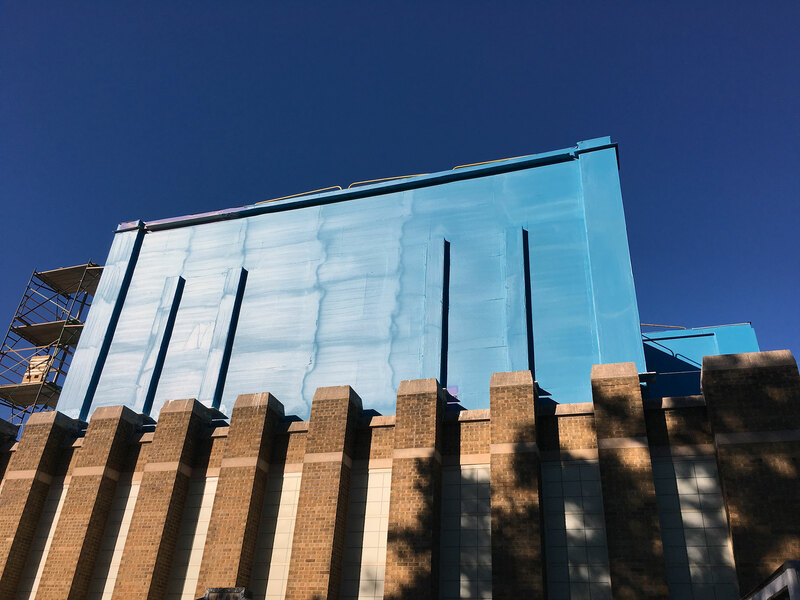 Knight Wall products allows all rain screen cladding products the opportunity to be installed in a fashion that allows the wall assembly to meet the energy code. 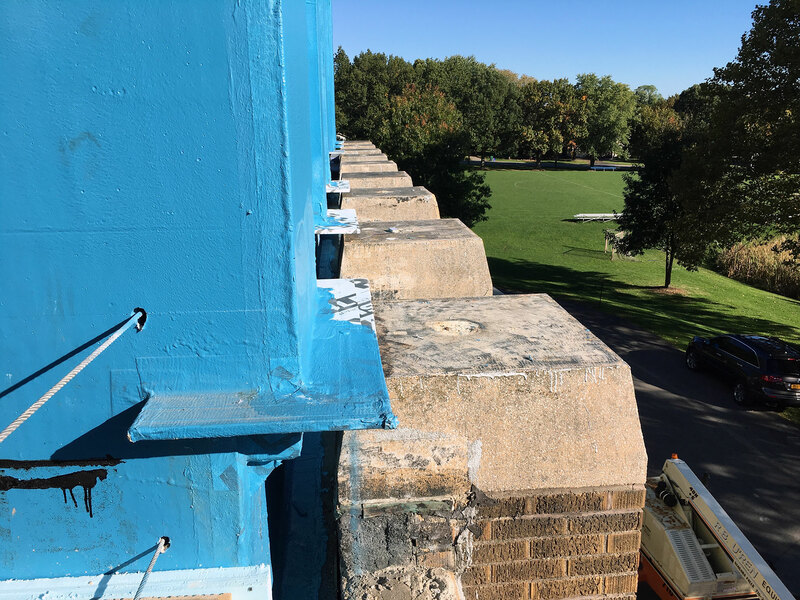 Once the HCI rails were installed the metal panel could be successfully secured to the rails, solving the wall thickness issue and saving the GC a lot of time and money tearing down the wall and reconstruction everything at the proper thickness.